If you're au fait with Ash Gaming's slots output, you'll know that they don't just bring out yer average 5-reel, 20-payline, 10-free-spins-thank-you-very-much type of game, relying instead on innovation and something a little different. And Midas Millions - at first glance a slot dedicated to a blinged-up lotto winner surrounded by Rolls Royces, Rolexes and leftover pizza - offers something new too. 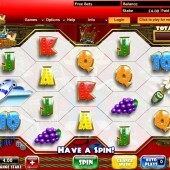 Midas Millions offers a honeycomb betting structure, a la WMS's American-themed Thundering Buffalo slot, which means the symbols are arranged so that a load more combos are possible. In fact, there are 118,700 - yep, 118,700 - to be utilised. On the reels there are plenty of trappings of the nouveaux riche: swanky cars, champagne, piles of cash, a private jet, and our bearded winner decked out in a crown and bling rings. The regular 10-through-Ace symbols make up the icons. Look out for the Wild symbol - the Midas Millions logo - as it only needs to substitute one other symbol to form a winning combo. However, King Midas will pop up to connect two Wild symbols on the same diagonal row. The bearded millionaire can also change the symbols in between Gold Wilds (essentially gold Midas Millions logos). Combos formed with these Gold Wilds pay out double. 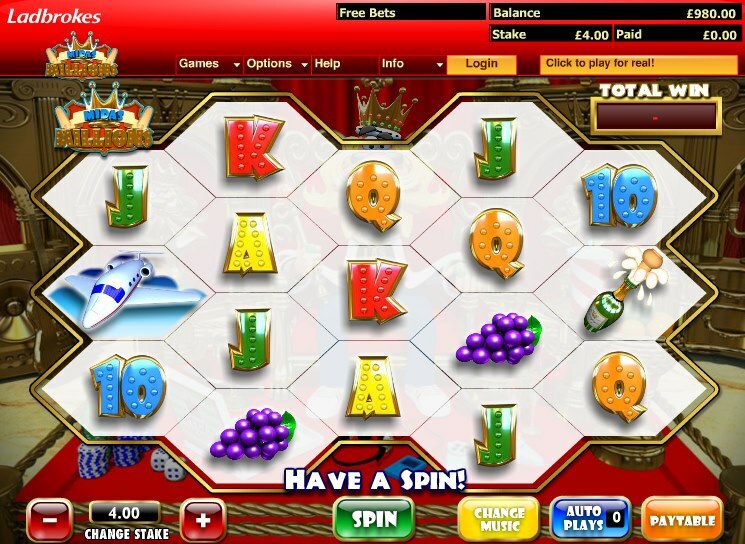 The Free Spins symbol is the Scatter, and three or more of those triggers a free spins round where you'll start with 10 freebies. These cannot be re-triggered, however. But never fear - Ash haven't left out the goodies. After each free spin, King Midas will change up to two symbols into Locked Wilds, meaning those symbols will stay in place for the remainder of your free spins. The legend of King Midas told of a ruler who turned everything he touched to gold. And while the RTP may be a little low compared to other online slots games, the sheer amount of gamble and chances to win prove yet again that Ash Gaming have the golden touch too. Gun for the $1 million jackpot and you'll be rocking up in a Roller with a lifetime's supply of pizza like the game's hero.